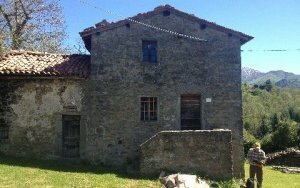 571 Country property near to the town of Barga, LU. 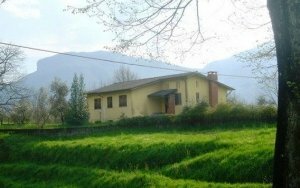 Pleasing fully renovated farmhouse in panoramic position situated in the countryside near Barga. This completely independent building is approximately 120mq. the is a private drive, with automated gate. 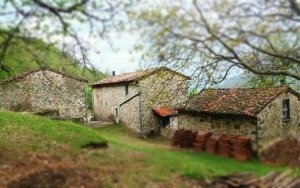 Included in the sale there is land of 18’000mq, where there are several outbuilding: woodshed, hen-house, bread oven and barbecue area in all they amount to approximately 150mq. 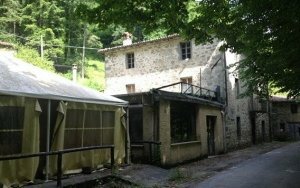 The property is in an excellent state of repair both inside and outside. 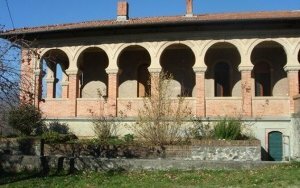 The is a portico at the front made of wood and stone. The front door leads on into the ground floor level directly into a kitchen then a living room connected with another sitting room and a bathroom. The former garage space is now where the boiler and solar panel pumps are housed. The is an internal staircase that leads up to the first floor which consists of three bedrooms, a bathroom and a box room. There is the possibility to build a pool in front of the farmhouse. 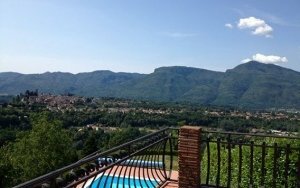 This property renovated with care the present owner has had installed photovoltaic panels to produce electricity and solar panels to heat water. The central heating system uses GPL and is linked to a pellet stove. The energetic class is “E” with 141,00 kWh/mq year. 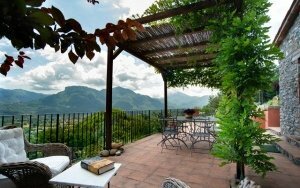 Beautiful rural property with panoramic views of Barga, LU. 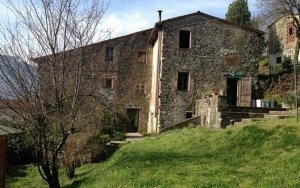 Renovated rural property with approximately *3500mq of terraced land*, swimming pool and large panoramic terrace and pergola, located near Barga, Lucca.